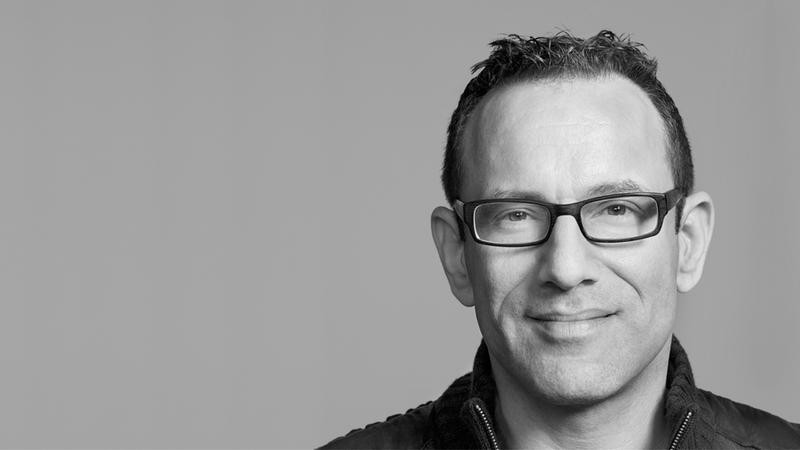 The Jewish Film Institute is pleased to announce that producer and director Marc Smolowitz will be a 2018 Filmmaker in Residence at work on his latest project The Lonely Child. The Jewish Film Institute is pleased to announce that producer and director Marc Smolowitz will be a 2018 Filmmaker in Residence while at work on his latest project The Lonely Child. To stay up to date with Marc’s residency and to receive invitations to attend work-in-progress screenings or other residency events, subscribe to our newsletter. For more information about the Jewish Film Institute’s Filmmakers in Residence program, visit our website. JFI: Tell us a little about yourself and your connection to film and media in the Bay Area. Smolowitz: I’ve been living in San Francisco since 1990, and I have been working in the independent film industry for over a quarter century. I have been significantly involved in some 50+ movies over the arc of my career wearing many hats, with numerous films that have screened at top-tier festivals like Sundance, Berlinale, Viennale, IDFA, Melbourne, Tokyo, SF Film, CPH: DOX, DOC NYC, AFI Docs, among many others. My current film company — 13th Gen — was founded in 2009, and I work as a director, producer and executive producer across all genres of filmmaking. I maintain a large and lively consulting business that puts me in contact with a vibrant portfolio of films and filmmakers from around the world. Back in 2001, I was the proud producer of Sandi DuBowski’s Trembling Before G-d (SFJFF 2001), and we were the closing night film at the San Francisco Jewish Film Festival that year — one of the most moving evenings I can remember at the Castro Theatre for me personally. A little fun fact about me is that my first job out of college was working for Janis Plotkin and Deborah Kaufman (founders of the San Francisco Jewish Film Festival), for the Jewish Film Festival when the organization’s total staff was just the three of us and the office was a single room over at the Saul Zaentz Film Center in Berkeley. During my two years at the Festival, I produced the first-ever festival trailer in 1991, which you often show to this day on the festival’s opening night, and I helped take the festival to Madrid, Spain in 1992. My time at the SFJFF was an amazing start to my career, and it is so nice to return to the organization at this stage of my life and work through the auspices of this wonderful residency. JFI: What is the project you will be working on during your JFI Filmmaker in Residency tenure? Smolowitz: During my residency, I will be working on The Lonely Child — a feature documentary that I am directing and producing about a little-known Yiddish lullaby written during the Holocaust describing Sorele, a little girl in hiding. Almost 75 years later, the daughter of the girl in the song — Alix Wall, who is also a writer and producer on the film — goes on a quest to meet the people who are keeping the song alive today, inviting musicians she admires to perform their own interpretations of it. Through interviews and performance, the song becomes a vehicle to explore themes of inherited memory and trauma, music and art as resistance, and the song’s surprising relevance amidst today’s global refugee crisis. 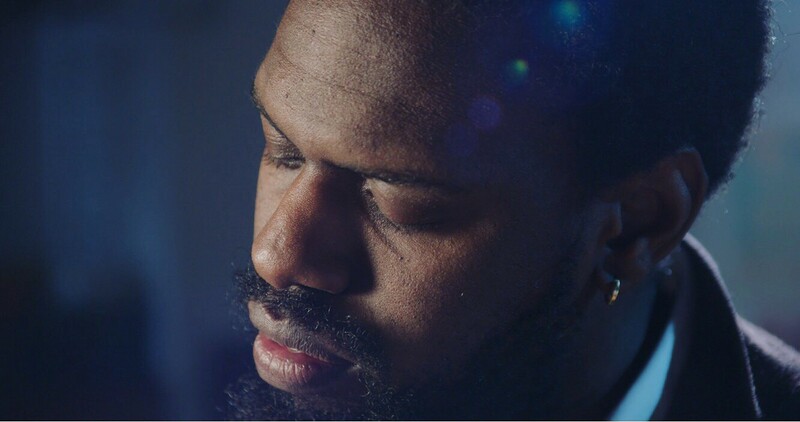 What starts as a personal family story becomes a music documentary that brings together artists from different parts of the world around a common theme. “The Lonely Child” follows Alix’s personal journey — that of a 48-year old childfree woman, journalist and personal chef — who after years of struggling with her family’s Holocaust legacy embarks upon a large-scale musical project to seed the unexpected power of her mother’s song in this contemporary moment. 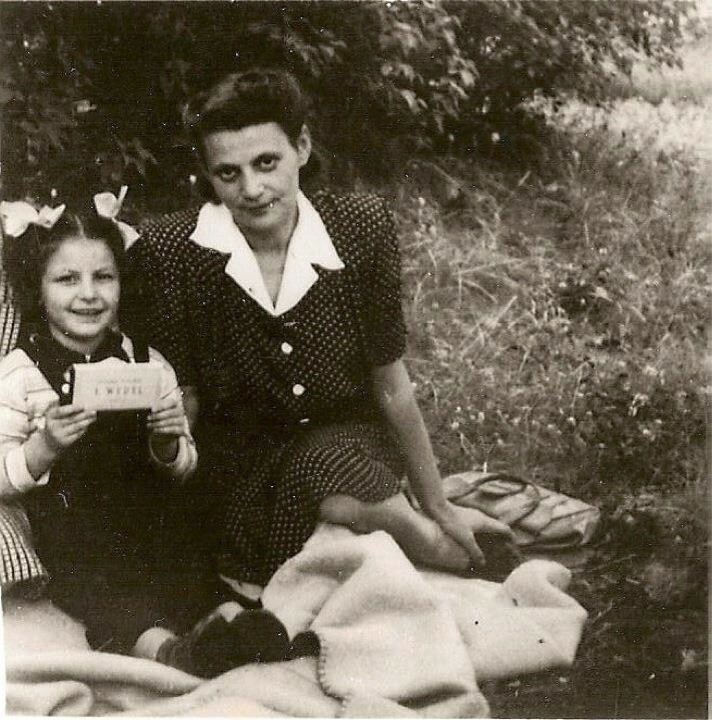 I myself am the Jewish son of a Hidden Child from Poland who survived the Holocaust. The shared experiences of Alix and myself have become the very powerful frame for our decidedly international film that will feature stories and musicians from the United States, Canada, Poland, Germany, Lithuania, Spain, Israel, and South Africa. The film’s urgency is highlighted by the fact that we’re poised to lose the last living Holocaust Survivors in the coming few years, and we will aim to engage many of them in the beautiful act of making music before they pass away. An archival image from The Lonely Child. JFI: At what stage of production are you in with the project? Smolowitz: We’re officially in development, but we have done several successful shoots already to kickstart our fundraising enterprise and overall production efforts. We are fiscally sponsored by the National Center for Jewish Film. I was fortunate to pitch the film earlier this year at Doc Poland, the Krakow Film Festival’s International Co-production Market, where I was able to on-board a wonderful slate of talented co-producers from Poland, Israel, and South Africa/United Kingdom. In October, Alix and I spent 11 days in Poland meeting with potential musicians and setting up major stakeholder relationships with Jewish organizations for filming. 2018 is going to be a pivotal year to move the film forward. Jeremiah Lockwood from Book of J performs “The Lonely Child in a still from the film. JFI: What do you hope to get out of the JFI Filmmaker in Residency program? Smolowitz: During my residency, I am excited to have a physical home for The Lonely Child that is geographically connected to the Jewish Film Institute and other media arts nonprofits that are based at the Ninth Street Media Center. On past projects, I was very fortunate to be a FilmHouse resident with SFFilm, and there is nothing more inspiring than being physically around other filmmakers and film organizations. The very nature of our work as filmmakers is about fostering deep connections with other artists, finding opportunities for collaboration, and cultivating unexpected pathways to community. In my own work, I am very confident in my abilities to do all aspects of my job, but it is these sorts of residencies that take me into surprising spaces and places where great things can happen. Finally, I am so excited to connect with the Bay Area and National Jewish communities on many fronts through the making of this project. It is going to provide me with many wonderful chances to express myself Jewishly as an artist and storyteller. 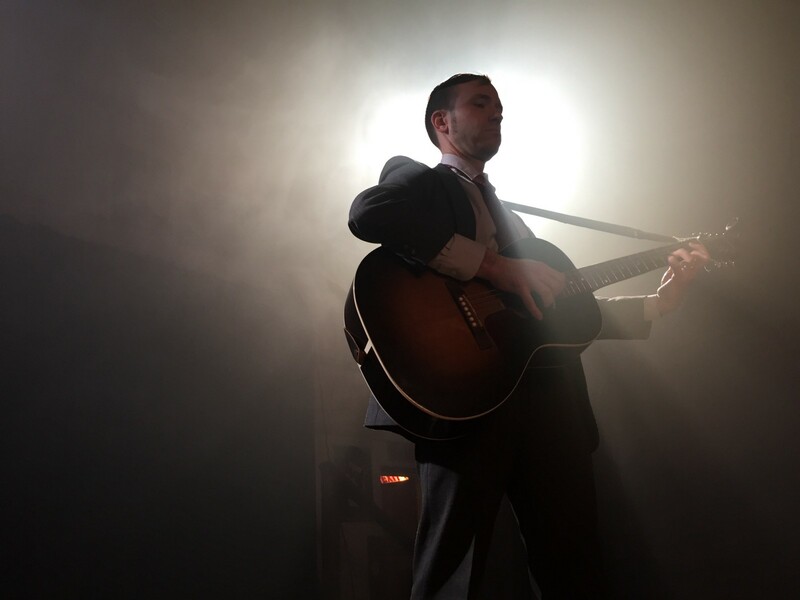 Anthony Mordechai Tzvi Russell performs “The Lonely Child” in a still image from the film. JFI: What films/filmmakers have inspired you lately and why? Unrest by Jen Brea — an autobiographical film about Brea’s powerful experience with Chronic Fatigue Syndrome. In my view, Brea is a true force of nature. Her journey from patient to self advocate to advocate for others to empowered storyteller is one for the history books. As some one who has a made a number of films about illness, I find Brea’s film to be one of the most influential and moving films of the decade about the patient experience. As a work of first person filmmaking, it is now easily in my top-ten films of all time in this category. Last Men in Aleppo by Firas Fiyyad — easily one of the most important and thought provoking films I have seen in recent years. So often, when it comes to what is happening in Syria, I am left dumbfounded, unable to interpret the sheer amount of violence and death we hear about, heartbroken for the refugees who are being displaced and made to feel unwelcome in countries that should be offering them safety and sanctuary. And, while this film is certainly hard to watch, it manages to have a kind immersive power and humanity that helps viewers stay with the hard-to-describe realities of what we’re actually watching. The men who are featured in the film are an unique part of the resistance, their main role is to try and save people who are trapped beneath the rubble of buildings that have been bombed. Most of the time, the bodies they find are children who are already dead. But, now and then, they manage to save a young life, and there is such immense joy in these moments, the filmmaker actually manages to beautifully counterbalance the sadness and devastation that is part and parcel of every beat of this story with a sense of hope. In the face of a living hell, these men exhibit courage, resilience, tenderness and humor. And, in the “in-between moments” — when they’re off work and contemplating the darkness of their situation — they give us, the audience, the tremendous gift of their experience and an intimate and unmatched window on to the atrocities of war. It is chilling, disarming, and important — required viewing for anyone who seeks to better understand survival and the ferocity of the human spirit. As Americans, we cannot turn our heads away from these sorts of seemingly unknowable tragedies, even if they can feel a world away. We have to try and know, see and understand the plight of our fellow humans, and here is a film that in some small way helps us makes sense of the senseless. 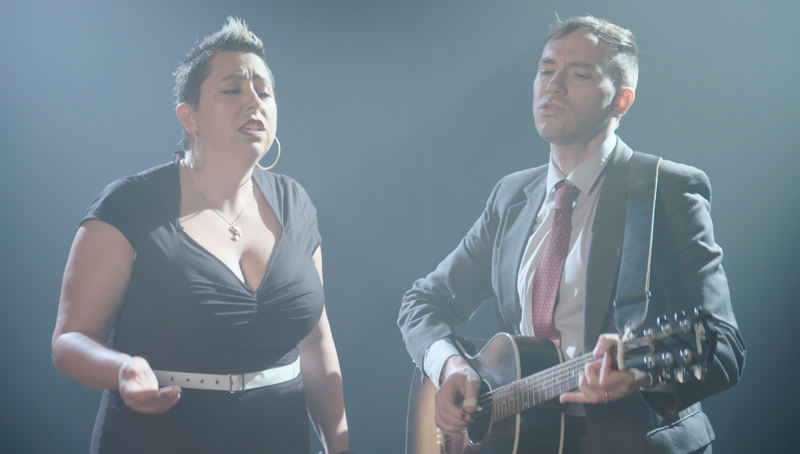 Jewlia Eisenberg (left) and Jeremiah Lockwood from Book of J perform “The Lonely Child” in a still image from the film.